Sakura has loved her special beds for years. 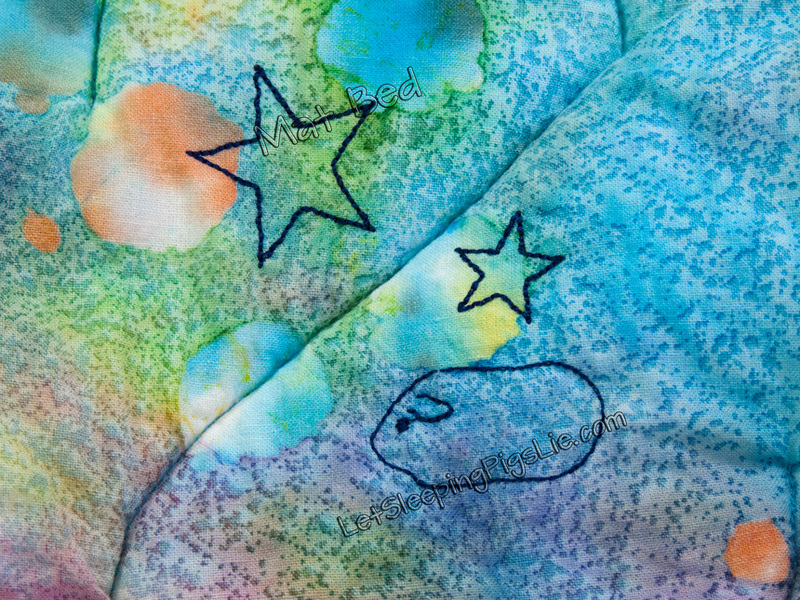 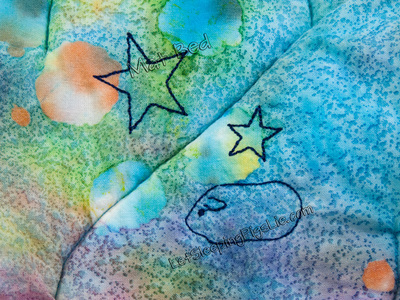 One side of her specialty bed is made of cotton (with custom designed embroidery), and the other side is faux sherpa fleece. 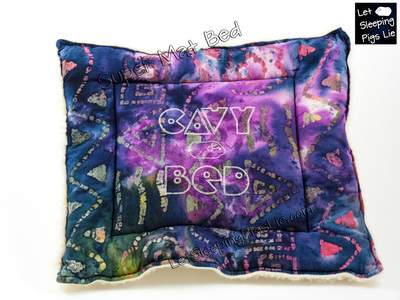 The sherpa fleece side of these beds will help to keep any guinea pig comfy and dry, while providing a padded place to nap. Each time the bed is washed, the sherpa fleece becomes “bunchier”. 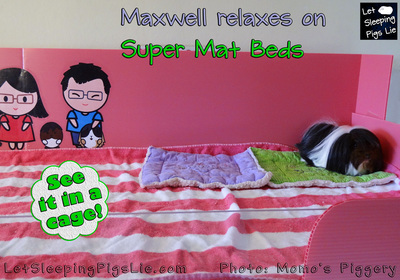 Super Mat Beds fit nicely under a Pigloo or other sleeping hut, with room to spare. 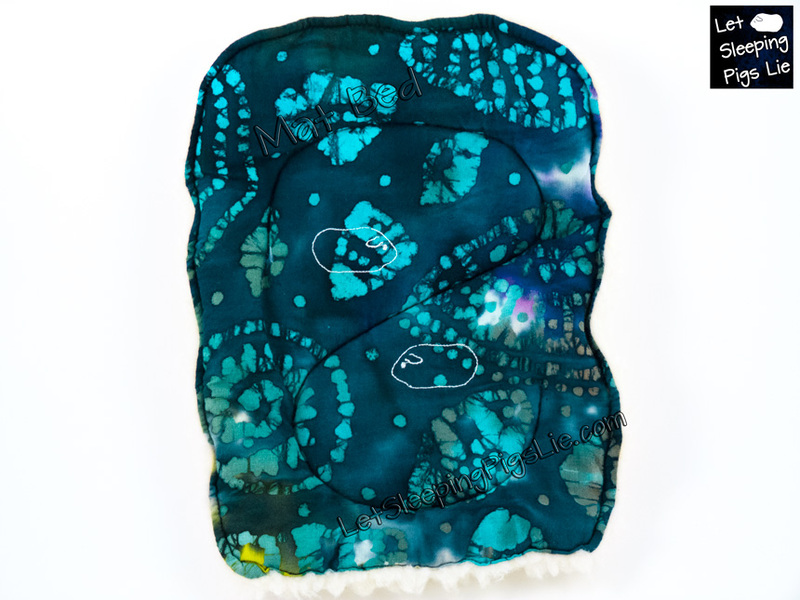 They are useful in the travel carrier, and give extra protection from relaxing in damp areas in any area of the cage. 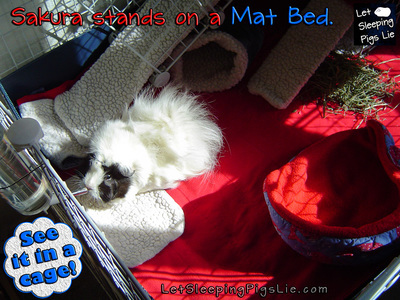 Sakura enjoyed snoozing on top of her Super Mat Bed, and using a second one as a blanket! 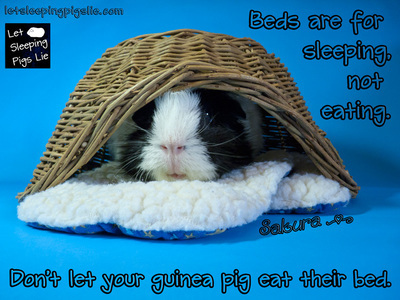 Puffy Beds make nice, cushiony pillows and beds for your guinea pig, and are just the right size for any area of your guinea pig’s cage and travel carrier. 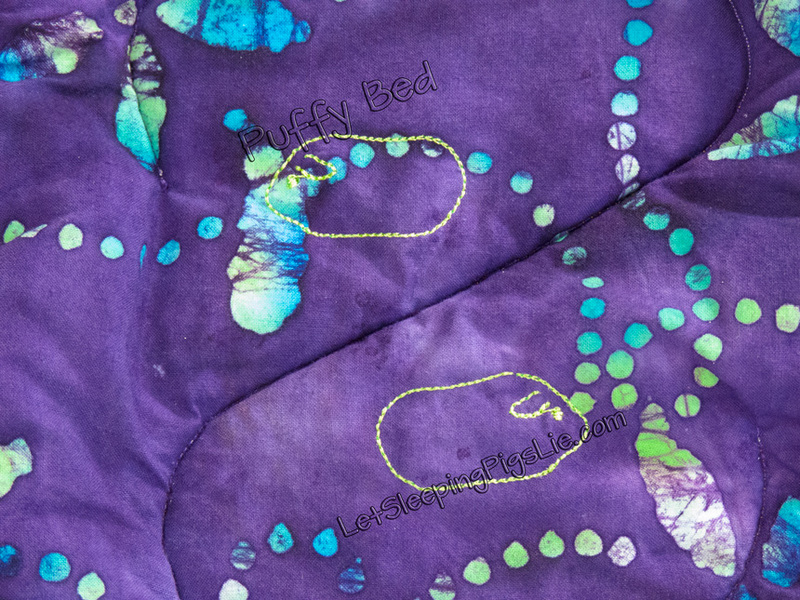 Puffy Beds are made with high-loft batting. 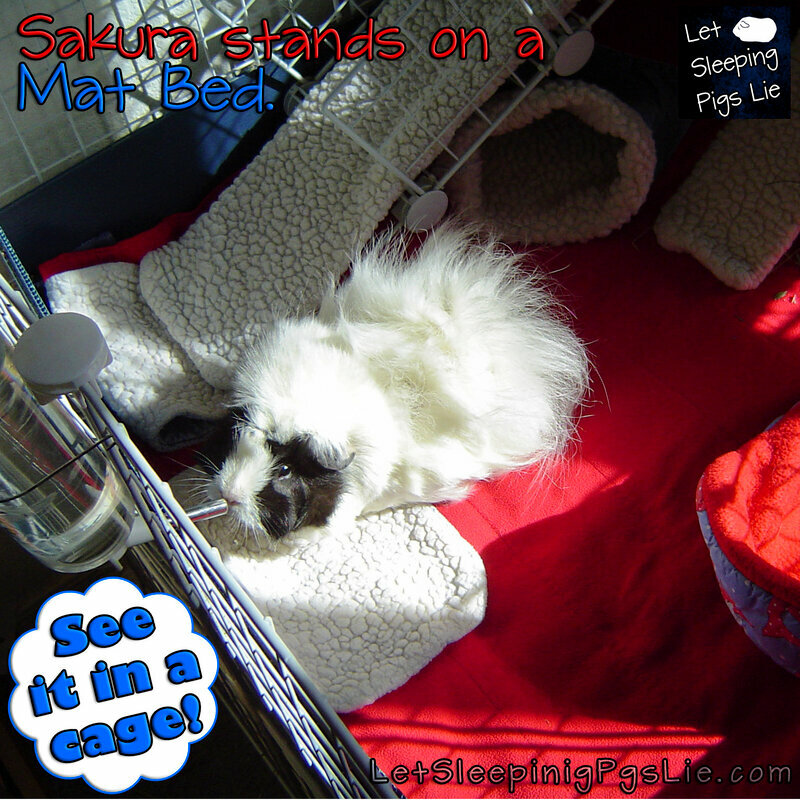 Sakura particularly enjoyed resting on her Puffy Beds! Mat Beds are useful in those favorite eating and sleeping spots areas of your guinea pig’s cage, and give extra protection from relaxing in damp areas. 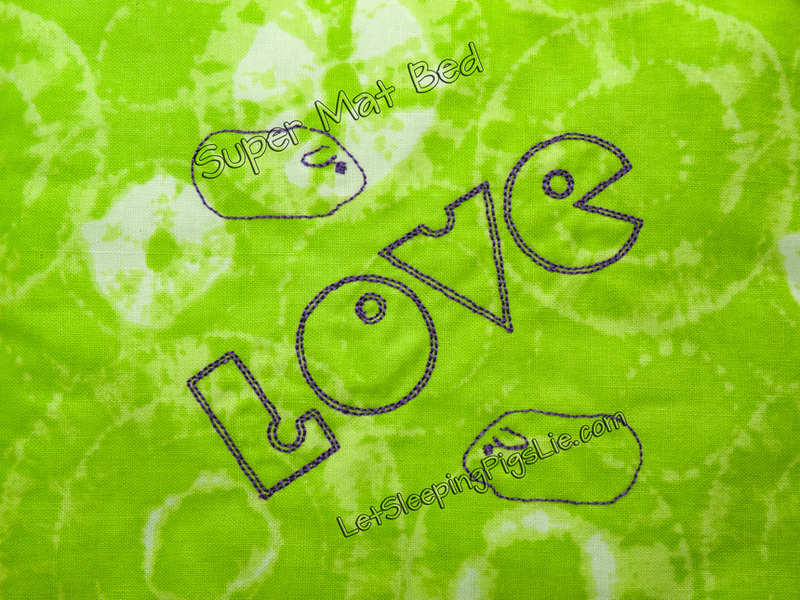 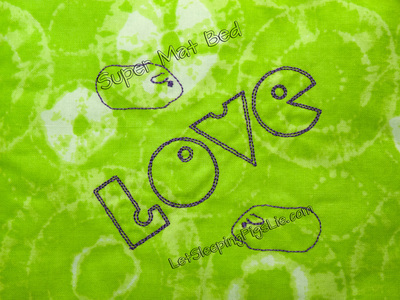 Mat Beds are made with regular-loft batting, for a cushiony, mat-like appearance. They fit easily inside a cuddle cup as a liner, and are handy below water bottles in the cage.